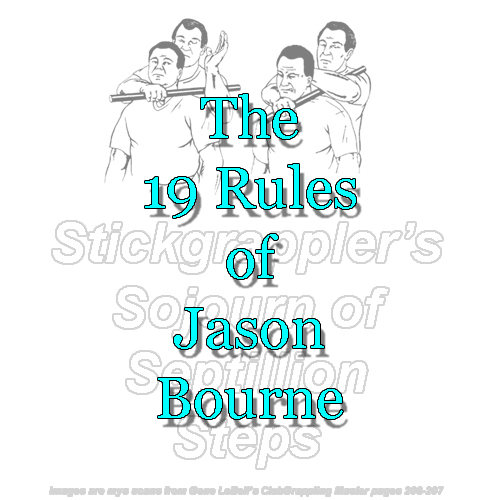 In Robert Ludlum's Bourne series, we learn some of Jason Bourne's tradecraft rules. "Tradecraft" is the favored term over the older term "spycraft". For your consideration, some rules/aspects of tradecraft can be used for the common man's self-defense. After all, a spy/secret agent, like the samurai of old, live with the possibility of death daily. They needed some rules of thumb for their survival. To blend in, change your appearance, your hair your face. Don’t run. Running identifies you as a target.